The election. God is still in control, hang onto that. The election. Just saying the word makes me feel desperate and disjointed. We are all feeling it, there is hate spewed everywhere from both sides. Try as we might to stay out of the hatred and not be a contributing factor in the rising anger in this country, it is almost impossible. It really doesn’t matter which side of the political fence your find yourself on, the country is experiencing significant stress and that is being brought forth into our everyday lives in very damaging ways. We as humans are often quick to jump in and defend our side of the fence. We are blaming each other, especially if we are on opposing sides. A county united has been replaced by a country divided. It feels as if we have lost our power. We have two political parties vying for the highest political office in the land. If you have not noticed, those two parties do not get along very well, not only that but they do not follow even the most basic of playground rules. The thing about disobedience is that it is contagious and easily caught. So what do we do and how do we get through this? 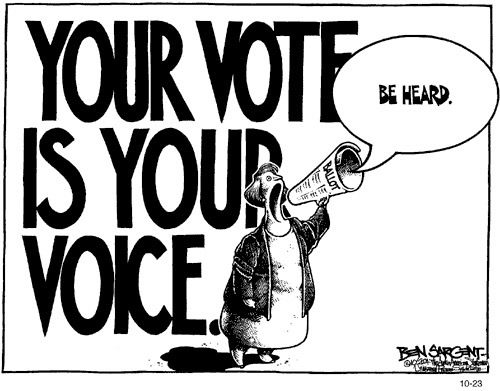 The most proactive thing we can do is to get out and vote. 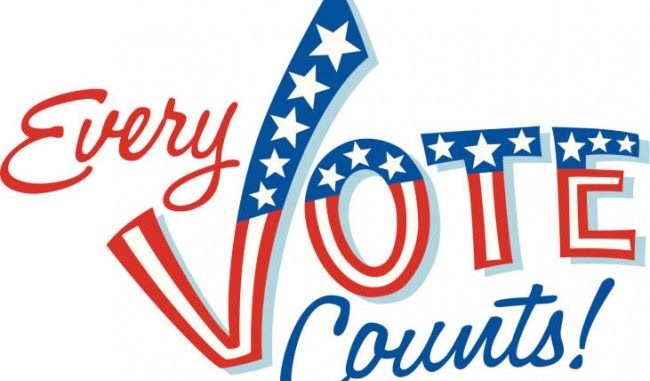 It does matter, it is our responsibility, our votes do count. .
On Nov 9th life will continue and no matter our political views, we are going to have to decide how our lives progress from that day forward. No matter who is our President, God is still in charge. Our hope does not lie in who resides in the white house. Our hope is not with the Republican or the Democratic Party. Our hope lies with Christ alone. God is sovereign and God is still in control. If we see the government (both sides) as evil and corrupt, try to remember that the evil goings on of the humans in the white house(no matter who they are) are never outside God’s control and in His time and His way, His purpose will be accomplished. We may have to live through some tough stuff but in the end, God is in control. I have been looking past personalities and looking at the issues. It has been hard because the ongoing personality battles are blasted every single day, all day long. However each candidate does have a platform for which they stand. For me the issues are as follows. Do I want to continue down the road of irresponsible socialism? Do I want our nation to return to Biblical hard and honest work, entrepreneurship and industry? Do I want a Supreme Court and federal judges who respect and uphold the safeguards of the US Constitution? Look at the candidates platforms and place your informed vote. After that is done, step back, take the gloves off and let God do His job. I promise you, He has not forgotten what He has promised us, His people.